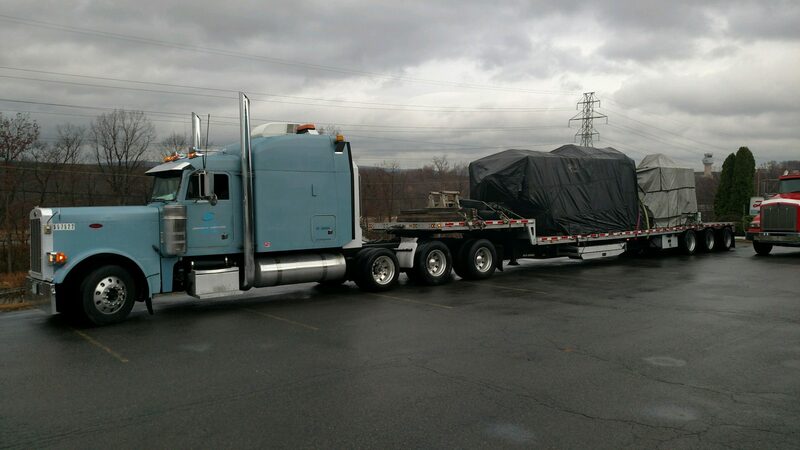 • 1 Shipment measuring 38’ Long, 9’ Wide, 9’ High, and 75,000 pounds. • Finding the correct trailer: Tri Axle Step Deck with 7 total axles able to handle the weight of the machine and meet the bridge weight limits. • Meeting the loading and unloading deadlines set by the shipper and consignee. Due to the size and weight of the shipment a 150 Ton Crane was required for loading and unloading. The size of the crane requires scheduling 4 days in advance. • We developed a logistics plan working up a transit plan building in one extra day as a buffer. • We provided updates to the consignee and customer using a GPS driver tracking program that provides updates on the driver’s location every 4 hours. • Shipment arrived on time meeting all the customers and consignee shipping and delivery requirements and budgetary constraints.